When you spend months building a game or app, you often have to start out small when it comes to users, and with every available penny going into Marketing, you need to control costs. Vision's array of Hosting Packages allows you to scale your Game or App's resources to meet the growing needs of its userbase over time as it gains in popularity, ensuring you're never paying for what you don't need. When Vision is Hosting, your applications and databases reside upon one or more of the servers in our network. Vision offers a variety of pre-configured plans as well as custom plans to meet any need. Dedicated service is where you fully control and remotely administer one or more of our physical servers, either one of our pre-configured machines or one that is customized to suit your needs. Also known as Infrastructure as a Service (IaaS), we assign a pool of multiple physical servers to you, under the management of a Hypervisor such as VMware, Hyper-V, Redhat, etc. Here you give us your pre-configured physical server(s), we place them in a rack at the datacenter and maintain them, while you remotely administer them. Vision offers a variety of high-speed, secure Windows 10 Desktops that can be remotely accessed via encrypted connections from any point in the world to meet various operational needs. The pre-configured packages for these core services range from very modest requirements up to very high-end, suitable for a wide variety of needs both at the government and private sector level. During the initial setup process, a Vision Engineer will work directly with you to ensure that all of your projected needs are fully met. Engineers with TS SCI Full Scope Polygraph are available for Military projects that require clearance. Vision is a USAC-Certified State and Federal Contractor. 1) Web Site Development and Redesign, where Vision's team of Web Developers, including graphic artists, engineers, database architects, back-end and security specialists will work together to develop custom web sites to meet your needs. These sites are generally designed so that the client can perform all subsequent updates themselves through a back-end administrative interface; creating new pages, updating existing content and adding new features. However, Vision can also maintain and update your site for you. Vision can also take existing, static web sites and redesign them, not only with the latest technology but also giving them a fresh, dynamic new look and enabling a large number of back-end features and metrics. 2) Application Development, where Vision's team of software developers will work to develop your application on iPhone, iPad, Android Phones and Tablets, PC and Mac. Vision's CEO is a senior software developer, and he participates directly with his teams on all projects. He has developed and shipped over 20 titles, for both the Private Sector and three Major Commands of the Military, under the direction of the Joint Chiefs of Staff. 3) Game Development, where Vision's internal teams and partners will help you create games for Facebook, iPhone, iPad, Android Phone, Tablet, PC, Mac, Nintendo Wii, 3DS, Wii-U, PlayStation 3 and Xbox 360. These can range from casual games up to highly complex roleplaying games and even Massively-Multiplayer Online RPGs. We will ensure the games ship on-time and on-budget, are properly monetized and constantly updated. 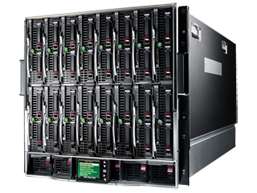 4) Custom Hardware Engineering, where we can build servers to your exact specifications, or design server solutions for you to meet your particular needs. For example, applications that have extremely high numbers of database transactions per second can be built out with server-class, PCI-e driven Solid State Storage systems that can support the most demanding task loads. Similarly, server applications in need of massive processing capability can be built out with very high-speed CUDA-based GPUs, including the latest NVIDIA® Tesla GPU accelerators, for climate modeling, chemical engineering, astrophysics, protein structure prediction, cryptography, molecular simulations, artificial intelligence research and more. 5) Hardware Leasing, where Vision can procure the latest hardware for your needs and also provide third-party leasing services at low monthly rates, helping to keep your capitalization high and enabling you to spread your hardware and software costs across multiple years' budgets. To help keep you hosting costs to fixed and predictable line items for today's tight budgets, Bandwidth in our normal packages is capped at various tiers. However, clients whose populations have grown and are experiencing significant bandwidth spikes during particular periods of the day or week may choose to have their account configured to utilize burstable bandwidth. With burstable bandwidth, upload and download speeds to their server(s) are not capped, but instead can "burst" up to 1 Gbps at need (and up to 10, 20, or 40 Gbps in larger configurations). When bursting, bandwidth that is consumed beyond the normal commitment level (what is the "cap" in non-burstable bandwidth) is calculated on the 95th percentile of usage for the month. If you only burst once in a while, and the rest of your usage is within your allocated range, you can benefit from our very low bursting rates and fully service your user demand spikes without taking on heavy monthly bandwidth commitments -- again, ensuring you don't pay for what you don't need.